TGIF Clemson Girls!! Today's post is not about you....no ladies, today it's all about the dogs! Today we have a great giveaway from our friends at Dog-E-Glow. As dog owners ourselves, we are big fans of Dog-E-Glow and their products. Dog-E-Glow is the first in the pet industry to offer a stylish/cool looking collar and leash design combined with the safety and functionality of LED lighting. You’ll have trouble finding anything like this – their products are truly one of a kind – available in a multitude of colors and fun patterns. 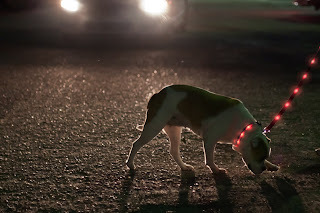 Watch this video below to see the Dog-E-Glow collars and leashes in action! 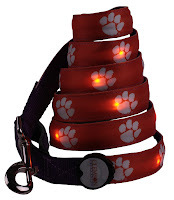 Check out their special Clemson LED collar and leash. 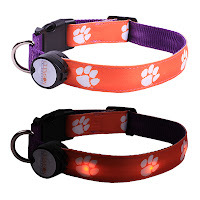 These collars and leashes are perfect for nightly walks, letting your dog out to use the restroom at night, and keeping an eye on your pet at the tailgate after a night game…. The LED lights are guaranteed for visibility up to 1000 ft. away! The collars and leashes are fully weather resistant and the LED’s have a 100,000 hour life (batteries included)! 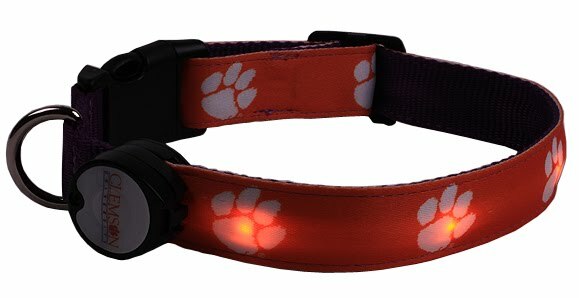 Dog-E-Glow is now offering all Clemson Girls a 30% discount on their Clemson collars and leashes from now through midnight EST Sunday! All you have to do is type ClemsonGirl in the promotional code box when checking out. Discount only applies to the Clemson products. 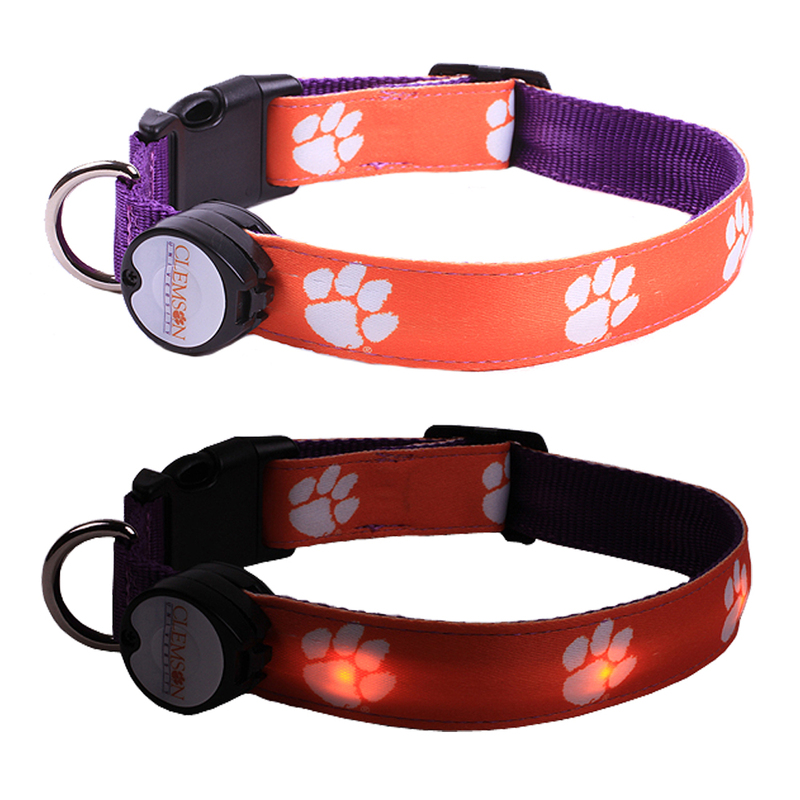 Dog-E-Glow has generously offered to give away one of their Clemson LED collars to a very lucky Clemson Girl. Deadline for all entries is midnight tonight, Friday, Feb. 15. We will draw a winner at random and contact the winner tomorrow, Saturday, Feb. 16 (please check your email tomorrow ladies!). The winner will have 48 hours to email us back or we will draw a new winner. 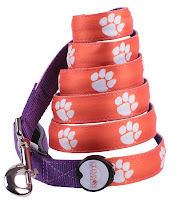 Big, big Clemson Girl thanks to Dog-E-Glow for sponsoring today's giveaway! Good luck ladies and happy Friday! My boys Tag and Trace would look great in these! My dog is Rocky and I think he would love an LED Clemson collar/leash! My puppy is sweet Brutus! Tough name, but Won't hurt a fly! My dog is Scottie. He has an orange collar and a purple leash, but he needs one with Tiger Paws that glows!! My dog is named Phoebe--she's a Tiger fan! My dog Charlotte needs this - she is a Tiger fan living in Florida and its hard to find Clemson accessories for dogs here!! My dog Marley has sported Clemson Paws since the day we got him. Would love to have one with lights as he likes to venture out in the brush at night. I found my dog Dolly living under a shed on the Clemson Forestry club lend. She totally needs this outfit to show off her roots! Trek would look great in these! That sounds like a great thing. I would love to know where some of my cats go when they go off for a day or two but I would be scared to put a collar on them for fear they would get caught in something. Great review about Pet Stop Battery.